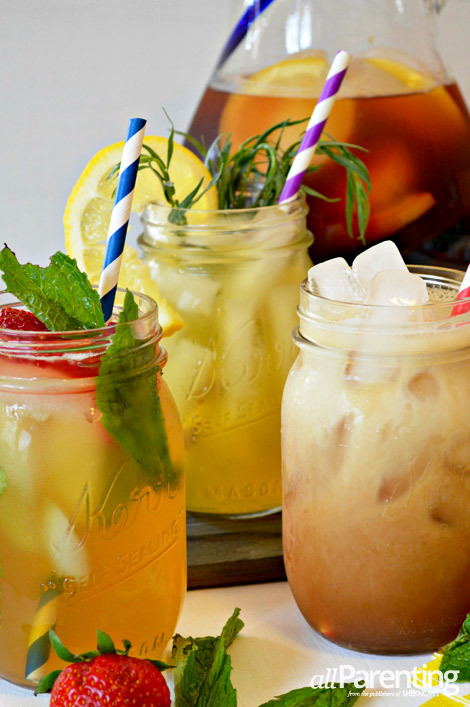 June is National Iced Tea Month and there's no better way to celebrate than with a glass of refreshing, cold iced tea! Our recipes are delicious and simple and are perfect for a quiet moment alone or to share with your friends on a hot summer day! 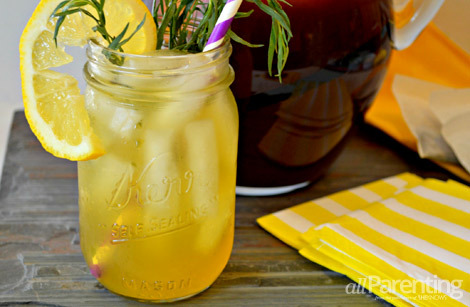 Celebrate National Iced Tea Month the way it's meant to be done: with a tall, refreshing glass of iced tea! 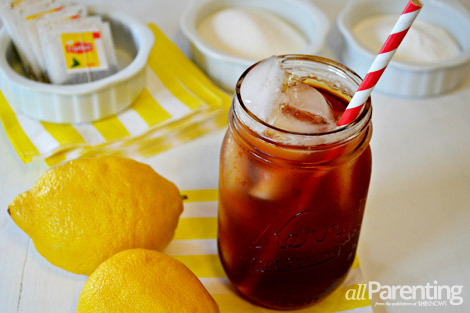 Perfect sweet tea is at your fingertips with just four simple ingredients: water, tea, sweetener and — surprise! — a pinch of baking soda to keep your tea smooth and clear. 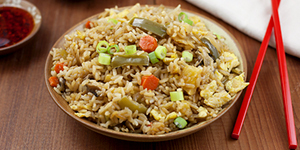 Once your sweet tea is made, it's time to get creative with fresh add-in ingredients. Our recipes are simple and meant to be sipped slowly, preferably with your feet up and your friends by your side. This recipe is your sweet tea base. You'll add six cups of water to it to make a pitcher of sweet tea. On hot summer days, we love starting the base in the morning while making breakfast, so it's ready to pour as soon as our families are ready to hit the sunshine. Boil the cup of water in a pot. Add in the baking soda and tea bags. Turn off the heat and let your tea base steep for 15 minutes. Add in your sweetener and stir until it dissolves. Once it's cooled, pour the base into a pitcher, add 6 cups water and your add-ins, pour over ice and enjoy! 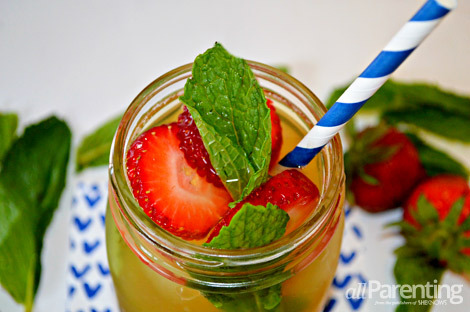 Green tea, sliced strawberries and fresh mint — or basil — make a sweet, refreshing tea, perfect for summer days at the beach and nights on the patio. White tea, sliced lemon and fresh tarragon combine into a perfectly light and subtle flavor you're sure to appreciate on hot summer days. 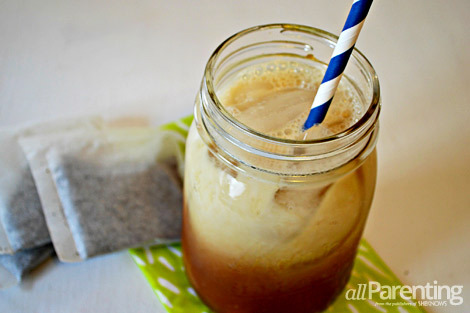 Black tea topped with unsweetened almond milk is rich and creamy, and is an absolutely perfect mid-day treat! When creating tea flavors, consider your choices of tea, fruit, herbs, sweetener and mixer. Experiment a little bit with surprising combinations — like mango ginger or raspberry lime. They are memorable and fun to try! We love black tea for a smooth, strong flavor, green tea for a fresh, nutty flavor and white tea for a light, subtle flavor. Fruit can be sliced fresh and slipped into drinks before serving. It can also be "muddled" or "smooshed" and mixed into your iced tea for a thicker drink. And last, it can be sliced, stirred into the tea, allowed to settle and then strained. 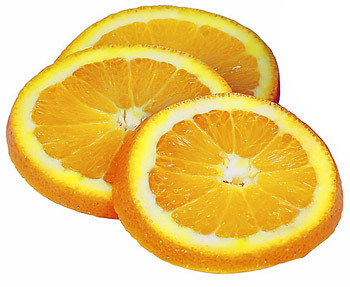 Some fabulous fruit suggestions include: berries, lemons, limes, oranges, mangos, pears and peaches. Herbs can be steeped in with the tea bags while making the base and then removed before serving or they can be slipped into the drink and served as a flavoring and a garnish. Herbs should be "bruised" or crushed in your hand to release their flavor. Some healthy herb suggestions include: basil, mint, tarragon, vanilla bean and ginger. Traditional sweet tea is made with white sugar. 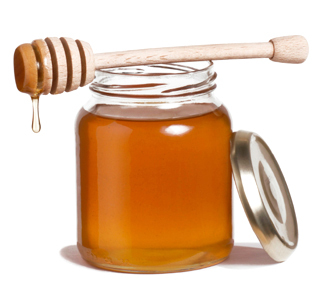 Truvia, stevia, honey or agave may be used as well. The sweet tea base is usually mixed with six cups of water and served over ice. Green and white tea taste lovely mixed with three cups of water and three cups of soda water, and black tea is heavenly mixed with water, poured over ice and topped with almond or coconut milk.